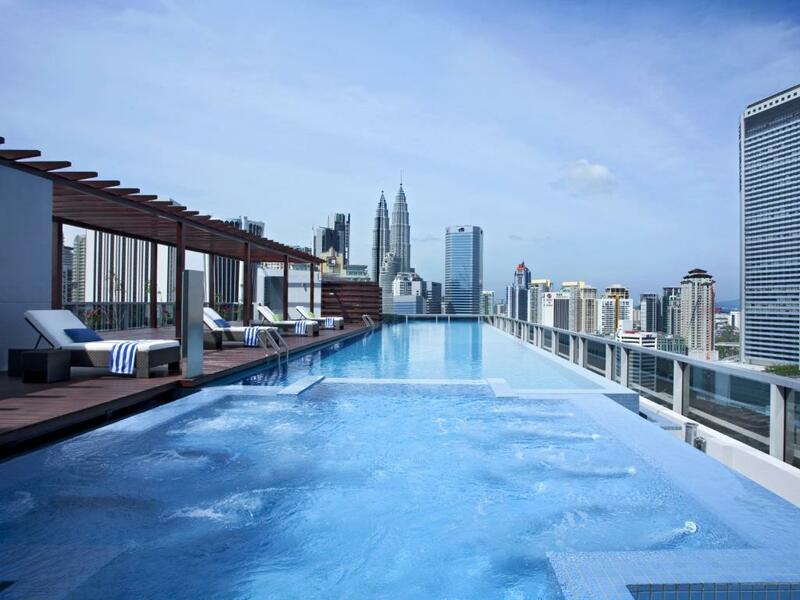 In the upscale Ampang district and surrounded by embassy buildings, this modern apartment hotel is a 6-minute walk from Ampang Park LRT station and 1 km from the iconic Petronas Towers. Sleek studios feature kitchenettes, washer/dryers and dining areas, as well as flat-screen TVs, iPod docks and free Wi-Fi. 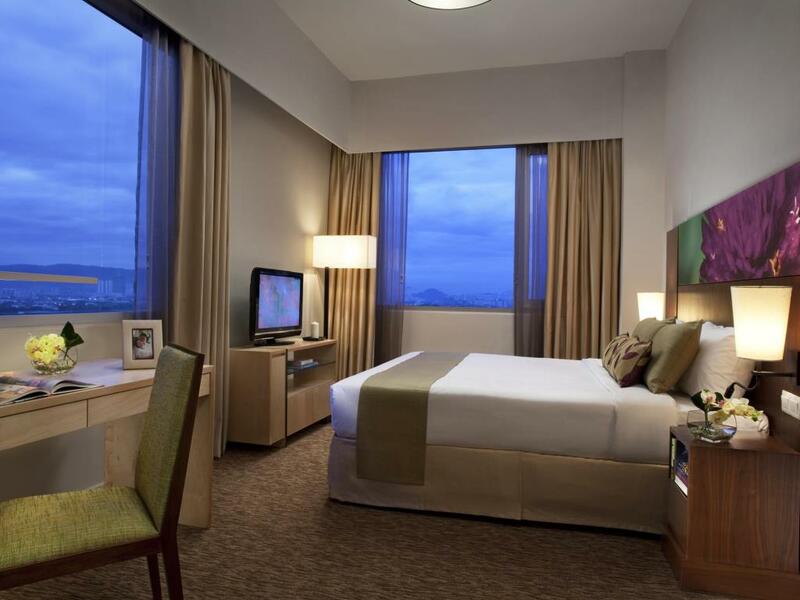 The 1- to 3-bedroom apartments add kitchens, dining rooms and separate lounges; some offer views of the Petronas Towers. Room service is available. Freebies include a breakfast buffet and a local area shuttle. There’s also a restaurant and a grocery delivery service, as well as a gym, a game room, and a rooftop infinity pool with a hot tub.